Flames! 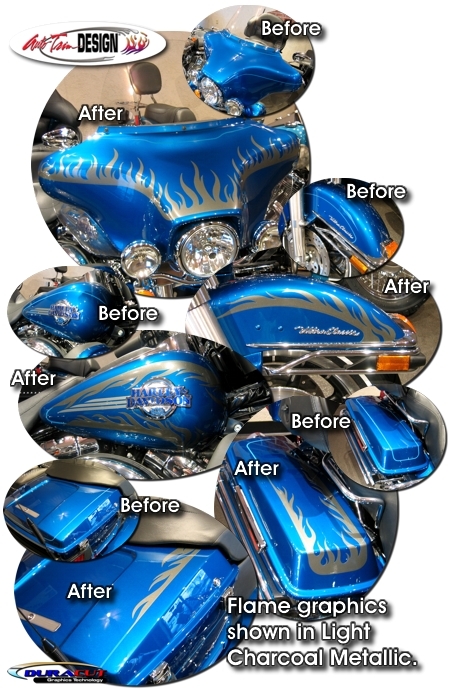 Dress up your '86-Current Ultra Classic Electra Glide with this precut, easy-to-install graphic kit with traditional looking flames! Graphic kit is uniquely designed to precisely cover the factory pinstripes as shown. Please note: This kit will not fit the Harley-Davidson Electra Glide Classic.